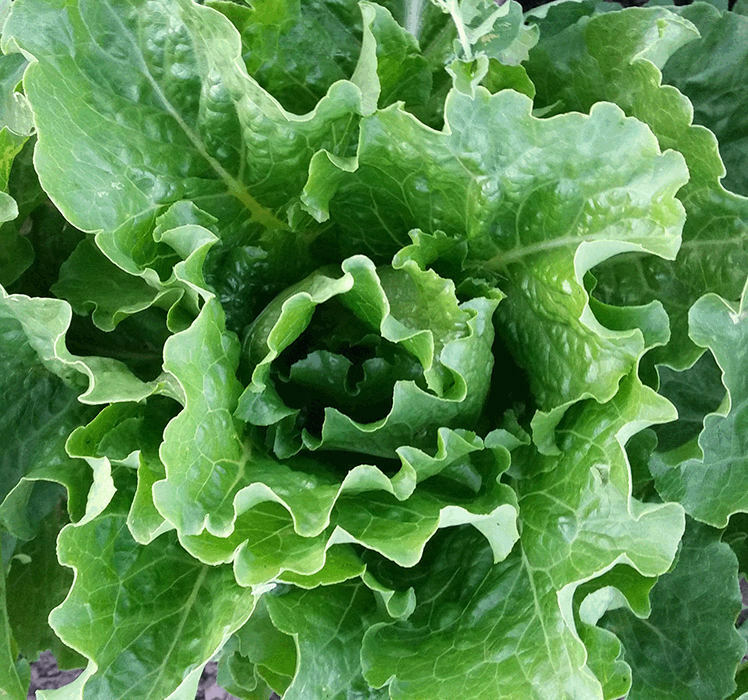 A big vigorous romaine, as wide as it is tall, with substantial leaves perfect for summer rolls or salad boats. Platonic’s color is a deeper and brighter green than other romaines, giving it added zing in visual appeal and taste. An Open Source Seed Initiative variety bred by Frank Morton. Culture: Plant in early to late spring, or in late summer for autumn salads. Full sun in cool weather, down to half sun in heat.